Scibus is a leading provider of contract research services to agribusiness, industry, animal pharmaceutical and government organisations in Australia, New Zealand, Asia and North America. It has proven capabilities in sophisticated research, field trials, meta-analysis, study design, risk assessment and statistical analysis. The company and its staff are committed to the development and commercialisation of new technology that improves the profitability, ethical management and sustainability of livestock production. Scibus runs an accredited Animal Ethics Committee that is audited by NSW Department of Primary Industries. The committee meets regularly to review applications, make investigations of suitability and approve trial protocols. Members of the Animal Ethics Committee include a representative of an animal welfare organisation, a member of the community, a veterinarian and a research scientist. Scibus runs high quality field trials suitable for the registration of products with the Australian Pesticides and Veterinary Medicines Authority and other relevant international bodies. 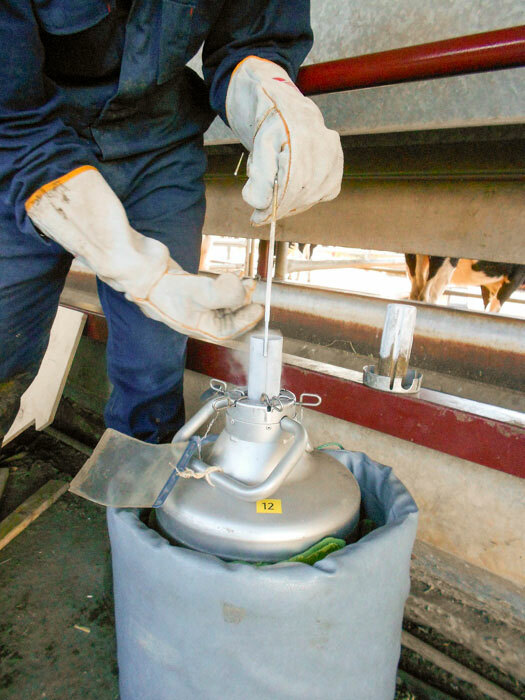 Scibus has access to an extensive network of dairy, beef and sheep operations throughout Australia, allowing us to identify a suitable location to test almost any kind of livestock feed, supplement, additive, system or treatment. Aim: To evaluate the effect of feed additives on the risk of ruminal acidosis in Holstein heifers (n = 40) fed starch and fructose in a challenge study. Method: Heifers were randomly allocated to feed additive groups (n = 8 heifers/group): (1) control (no additives); (2) virginiamycin (VM); (3) monensin + tylosin (MT); (4) monensin + live yeast (MLY); and (5) sodium bicarbonate + magnesium oxide (BUF). Heifers were fed 2.5% of body weight (BW) dry matter intake (DMI) per d total mixed ration (62:38 forage:concentrate) and feed additives for a 20-d adaptation period. Fructose (0.1% of BW/d) was included for the last 10 d of the adaptation period. On d-21, heifers were challenged with a ration containing 1.0% of BW DMI wheat, 0.2% of BW fructose, and their feed additives. 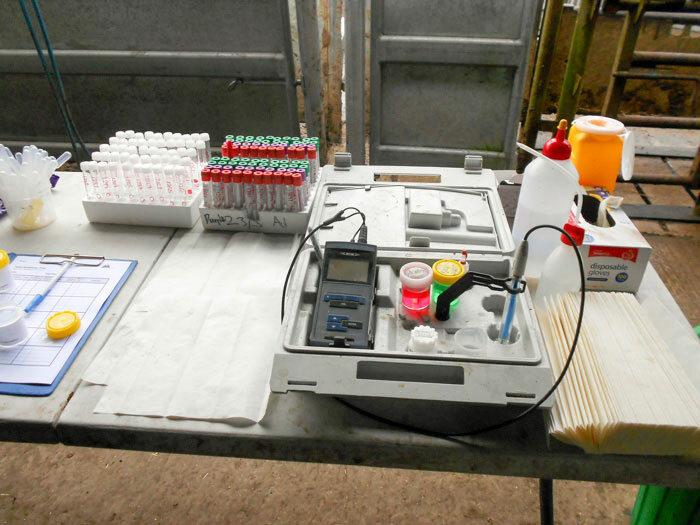 Rumen fluid samples obtained by stomach tube and blood samples were collected weekly as well as during a 3.6 h period on challenge day (d-21). Results: Virginiamycin and BUF groups maintained a consistently high DMI across the 20-d adaptation period. The MLY heifers had low DMI of the challenge ration. 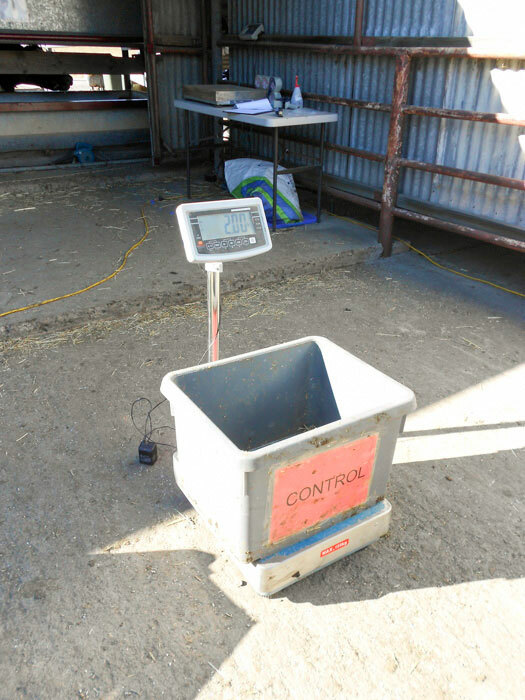 Average daily gain and feed conversion ratio were not affected by feed additives. All rumen and plasma parameters changed weekly over adaptation and over the challenge sampling period with the exception of rumen total lactate and histamine concentrations, plasma oxidative stress index and ceruloplasmin. There was substantial within and between group variation in rumen and plasma profiles at challenge sampling. There were no significant group changes in rumen total VFA, propionate, acetate to propionate ratio, isobutyrate, caproate, isovalerate, total lactate, D- and L-lactate, and pH measures on challenge day. 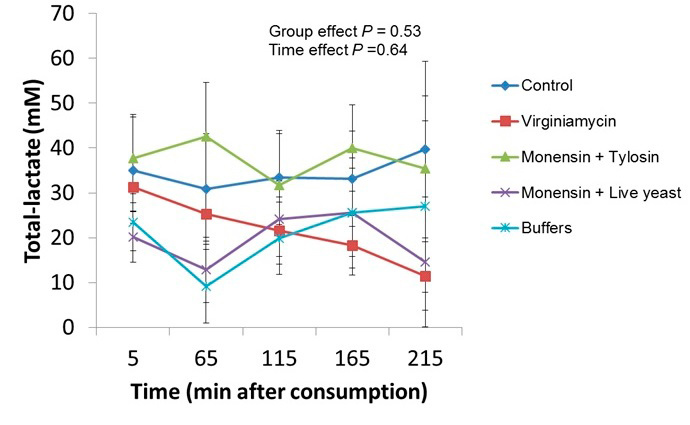 Acetate concentration was increased in the BUF and control groups on challenge day. Butyrate concentration was lower in the MLY and MT groups compared to other groups at challenge. 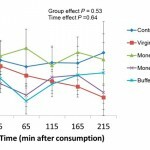 Valerate concentrations were lowest in the control, VM, and BUF groups and lactate concentrations were numerically lower in the MLY, VM, and BUF groups. Total lactate concentrations were > 10 mM for each group throughout the challenge. Ammonia concentrations were lower in the MLY and MT groups. Histamine concentrations were decreased in MLY and increased in the VM and BUF groups. Plasma oxidative stress measures were not influenced by feed additives weekly or on challenge day, except for an increase in biological antioxidant potential in the control, VM, and MT groups on challenge day. Conclusion: Despite the large within animal variation, all feed additives modified rumen function and may influence the risk of acidosis by different mechanisms; however, none stabilized the rumen in all heifers. Golder, H. M., P. Celi, A. R. Rabiee, and I. J. Lean. 2014. 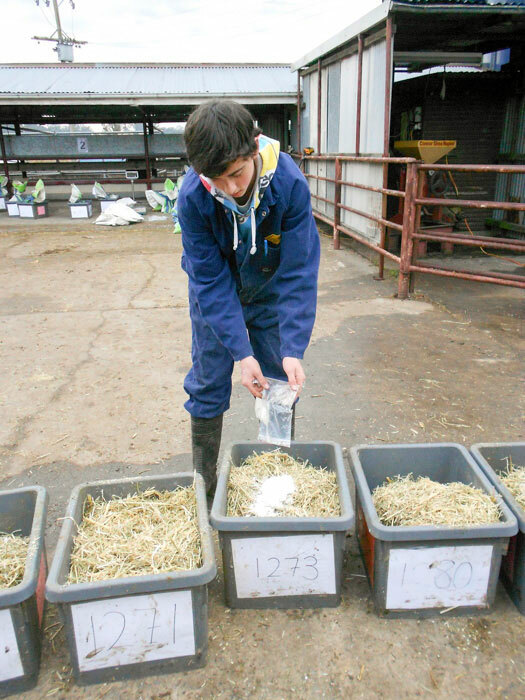 Effects of feed additives on rumen and blood profiles during a starch and fructose challenge. J. Dairy Sci. 97:985-1004. Scibus conducts some of the most sophisticated statistical and epidemiological investigations available. It is a world leader in meta-analysis and routinely uses advanced statistical methods, including survival analysis, cluster analysis, bayesian and mixed-model single and multivariable analyses. Many of these analyses have been published in peer review journals and conference proceedings. Scibus also conducts risk assessment analysis for government and research organisations. Lean, I. J., A. R. Rabiee, T. F. Duffield, and I. R. Dohoo. 2009. Invited review: Use of meta-analysis in animal health and reproduction: Methods and applications. J. Dairy Sci. 92:3545-3565. Golder, H. M., S. E. Denman, C. McSweeney, W. J. Wales, M. J. Auldist, M. M. Wright, L. C. Marett, J. S. Greenwood, M. C. Hannah, P. Celi, E. Bramley, and I. J. Lean. 2014. Effects of partial mixed rations and supplement amounts on milk production and composition, ruminal fermentation, bacterial communities, and ruminal acidosis. J. Dairy Sci. 97:5763-5785. Lean, I. J., H. M. Golder, and M. B. Hall. 2014. 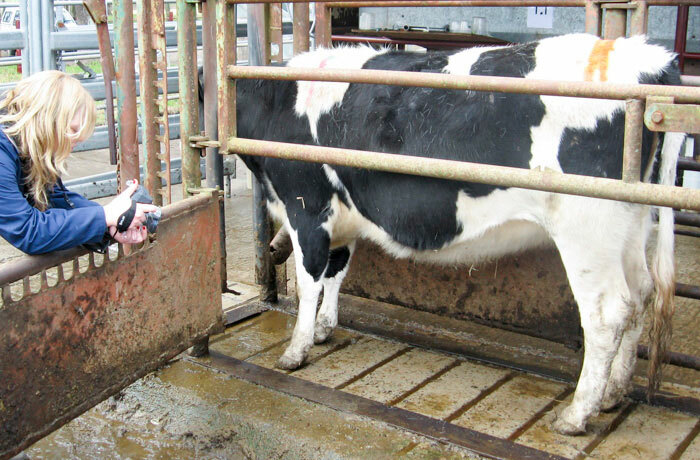 Feeding, evaluating, and controlling rumen function. Vet. Clin. N. Am.-Food A 30:539-575. Golder, H. M., P. Celi, and I. J. Lean. 2014. Ruminal acidosis in 21-month-old Holstein heifer. Can. Vet. J. 55:559-564. Golder, H. M., S. E. Denman, C. McSweeney, P. Celi, and I. J. Lean. 2014. Ruminal bacterial community shifts in grain, sugar, and histidine challenged dairy heifers. J. Dairy Sci. 97:5131-5150. Bramley, E., N. D. Costa, W. J. Fulkerson, and I. J. Lean. 2013. Associations between body condition, rumen fill, diarrhoea and lameness and ruminal acidosis in Australian dairy herds. NZ Vet. J. 61:323-329. Golder, H. M., I. J. Lean, A. R. Rabiee, R. King, and P. Celi. 2013. Effects of grain, fructose, and histidine feeding on endotoxin and oxidative stress measures in dairy heifers. J. Dairy Sci. 96:7881–7891. Lean, I. J., H. M. Golder, J. L. Black, R. King, and A. R. Rabiee. 2013. In vivo indices for predicting acidosis risk of grains in cattle: Comparison with in vitro methods. J. Anim. Sci. 91:2823-2835. Golder, H. M., and, I. J. Lean 2013. Ruminal acidosis: How to diagnose and how to treat. The Australian Cattle Veterinarian. 19-21. Golder, H. M., P. Celi, A. R. Rabiee, C. Heuer, E. Bramley, S. W. Miller, R. King, and I. J. Lean. 2012. Effects of grain, fructose and histidine on ruminal pH and fermentation products during an induced subacute acidosis protocol. J. Dairy Sci. 95:1971-1982. Bramley, E., I. J. Lean, W. J. Fulkerson, and N. D. Costa. 2012. 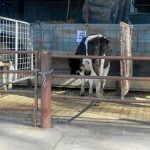 Feeding management and feeds on dairy farms in New South Wales and Victoria. Anim. Prod. Sci. 52:20-29. Bramley, E., I. J. Lean, W. J. Fulkerson, M. A. Stevenson, A. R. Rabiee, and N. D. Costa. 2008. 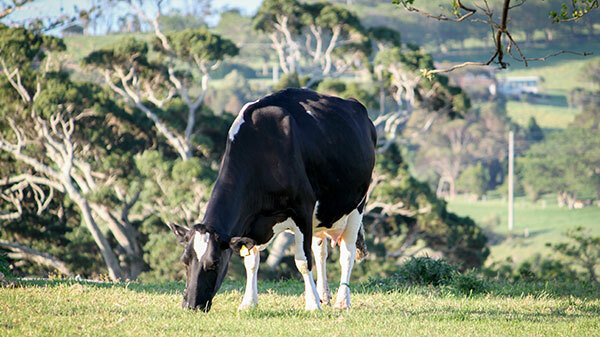 The definition of acidosis in dairy herds predominantly fed on pasture and concentrates. J. Dairy Sci. 91:308-321. Bramley, E., I. Lean, W. J. Fulkerson, and N. D. Costa. 2005. 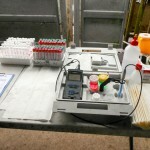 Clinical acidosis in a Gippsland dairy herd. Aust. Vet. J. 83:347-352. Lean, I. J., L. K. Wade, M. A. Curtis, and J. Porter. 2000. 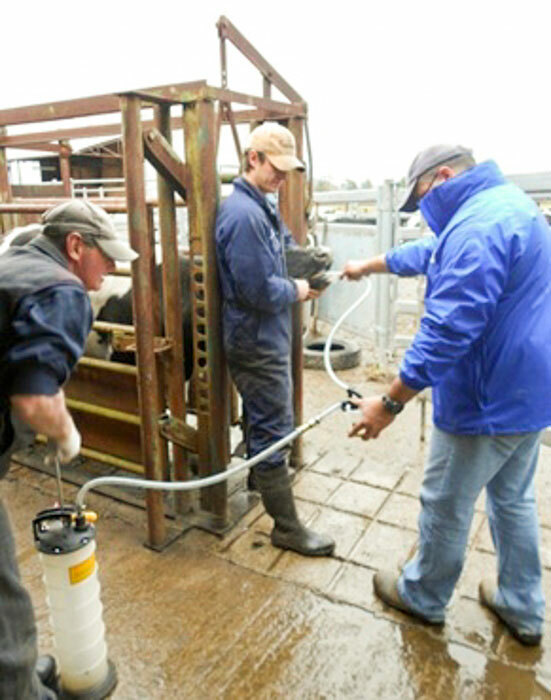 New approaches to control of ruminal acidosis in dairy cattle. Australas. J. Anim. Sci. 13(Suppl.):266–269. Lean, I. J., C. T. Westwood, H. M. Golder, and J. J. Vermunt. 2013. 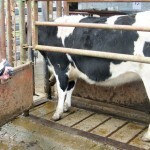 Impact of nutrition on lameness and claw health in cattle. Livest. Prod. 156:71-87. Lean, I. and A. Rabiee. 2011. Effect of feeding biotin on milk production and hoof health in lactating dairy cows: A quantitative assessment. J. Dairy Sci. 94:1465-1476. Westwood, C. T., E. Bramley, and I. J. Lean. 2003. Review of the relationship between nutrition and lameness in pasture-fed dairy cattle. NZ Vet. J. 51:208-218. DeGaris, P. J. and I. J. Lean. 2008. Milk fever in dairy cows: A review of pathophysiology and control principles. Vet. J. 176:58-69. Lean, I. J., P. J. DeGaris, D. M. McNeil, and E. Block. 2006. Hypocalcemia in dairy cows: Meta-analysis and dietary cation anion difference theory revisited. J. Dairy Sci. 89:669-684. Lean, I., M. Bruss, H. Troutt, J. Galland, T. Farver, J. Rostami, C. Holmberg, and L. Weaver. 1994. Bovine ketosis and somatotrophin: Risk factors for ketosis and effects of ketosis on health and production. Res. Vet. Sci. 57:200-209. Lean, I. J., P. Celi, H. Raadsma, J. McNamara, and A. R. Rabiee. 2012. Effects of dietary crude protein on fertility: Meta-analysis and meta-regression. Anim. Feed Sci. Technol. 171:31-42. Lean, I. and A. Rabiee. 2006. Quantitative metabolic and epidemiological approaches to the fertility of the dairy cow. Proceedings of the Dairy Cattle Reproductive Council, DCRC:115-131. Rabiee, A. R., I. J. Lean, and M. A. Stevenson. 2005. Efficacy of Ovsynch program on reproductive performance in dairy cattle: A meta-analysis. J. Dairy Sci. 88:2754-2770. Westwood, C., I. Lean, and J. Garvin. 2002. Factors influencing fertility of Holstein dairy cows: A multivariate description. J. Dairy Sci. 85:3225-3237. Rabiee, A., I. Lean, J. Gooden, B. Miller, and R. Scaramuzzi. 1997. An evaluation of transovarian uptake of metabolites using arterio-venous difference methods in dairy cattle. Anim. Reprod. Sci. 48:9-25. Beckett, S. and I. Lean. 1997. Gonadotrophin-releasing hormone in postpartum dairy cattle: A meta-analysis of effects on reproductive efficiency. Anim. Reprod. Sci. 48:93-112. Morgan, W. and I. Lean. 1993. Gonadotrophin‐releasing hormone treatment in cattle: A meta‐analysis of the effects on conception at the time of insemination. Aust. Vet. J. 70:205-209. Lean, I., J. Galland, and J. Scott. 1989. Relationships between fertility, peak milk yields and lactational persistency in dairy cows. Theriogenology 31:1093-1103. Rodney, R. M., P. Celi, W. Scott, K. Breinhild, and I. J. Lean. 2015. Effects of dietary fat on fertility of dairy cattle: A meta-analysis and meta-regression. J. Dairy Sci. 98:5601-5620. DeGaris, P., I. Lean, A. Rabiee, and M. Stevenson. 2010. Effects of increasing days of exposure to prepartum diets on the concentration of certain blood metabolites in dairy cows. Aust. Vet. J. 88:137-145. DeGaris, P., I. Lean, A. Rabiee, and C. Heuer. 2010. Effects of increasing days of exposure to prepartum transition diets on reproduction and health in dairy cows. Aust. Vet. J. 88:84-92. Degaris, P., I. Lean, A. Rabiee, and C. Heuer. 2008. Effects of increasing days of exposure to prepartum transition diets on milk production and milk composition in dairy cows. Aust. Vet. J. 86:341-351. Duffield, T. F., A. R. Rabiee, and I. J. Lean. 2008. A meta-analysis of the impact of monensin in lactating dairy cattle. Part 1. Metabolic effects. J. Dairy Sci. 91:1334-1346. Duffield, T. F., A. R. Rabiee, and I. J. Lean. 2008. A meta-analysis of the impact of monensin in lactating dairy cattle. Part 2. Production effects. J. Dairy Sci. 91:1347-1360. Duffield, T. F., A. R. Rabiee, and I. J. Lean. 2008. A meta-analysis of the impact of monensin in lactating dairy cattle. Part 3. Health and reproduction. J. Dairy Sci. 91:2328-2341. Clayton, E. H., I. J. Lean, J. B. Rowe, and J. W. Cox. 1999. Effects of feeding virginiamycin and sodium bicarbonate to grazing lactating dairy cows. J. Dairy Sci. 82:1545-1554. Beckett, S., I. Lean, R. Dyson, W. Tranter, and L. Wade. 1998. Effects of monensin on the reproduction, health, and milk production of dairy cows. J. Dairy Sci. 81:1563-1573. Stephenson, K. A., I. J. Lean, M. L. Hyde, M. A. Curtis, J. K. Garvin, and L. B. Lowe. 1997. Effects of monensin on the metabolism of periparturient dairy cows. J. Dairy Sci. 80:830-837. Lean, I. J., J. M. Thompson, and F. R. Dunshea. 2014. A meta-analysis of Zilpaterol and Ractopamine effects on feedlot performance, carcass traits and shear strength of meat in cattle. PloS one 9:e115904. Edmondson, A. J., I. J. Lean, L. D. Weaver, T. Farver, and G. Webster. 1989. 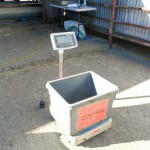 A body condition scoring chart for Holstein dairy cows. J. Dairy Sci. 72:68-78. Rabiee, A. R. and I. J. Lean. 2013. The effect of internal teat sealant products (Teatseal and Orbeseal) on intramammary infection, clinical mastitis, and somatic cell counts in lactating dairy cows: A meta-analysis. J. Dairy Sci. 96:6915-6931. Rabiee, A. R., K. Breinhild, W. Scott, H. M. Golder, E. Block, and I. J. Lean. 2012. Effect of fat additions to diets of dairy cattle on milk production and components: A meta-analysis and meta-regression. J. Dairy Sci. 95:3225-3247. Rabiee, A. R., I. J. Lean, M. A. Stevenson, and M. T. Socha. 2010. Effects of feeding organic trace minerals on milk production and reproductive performance in lactating dairy cows: A meta-analysis. J. Dairy Sci. 93:4239-4251. Scibus conducts a wide range of other studies, including market research, economic evaluations, scoping studies, agronomic trials, product safety trials and trial designs. Lean, I. J., A. R. Rabiee, H. M. Golder, and J. Lloyd. 2010. Final report: Analysis of the potential to manipulate the rumen of Northern beef cattle to improve performance. Report to MLA. Reference Advisory Group on Fermentative Acidosis of Ruminants (RAGFAR). 2007. Ruminal acidosis – Aetiopathogenesis, prevention and treatment. A review for veterinarians and nutritional professionals. A. V. Association, ed. Blackwell Publishing Asia Pty. Ltd., Carlton, Vic. Australia.